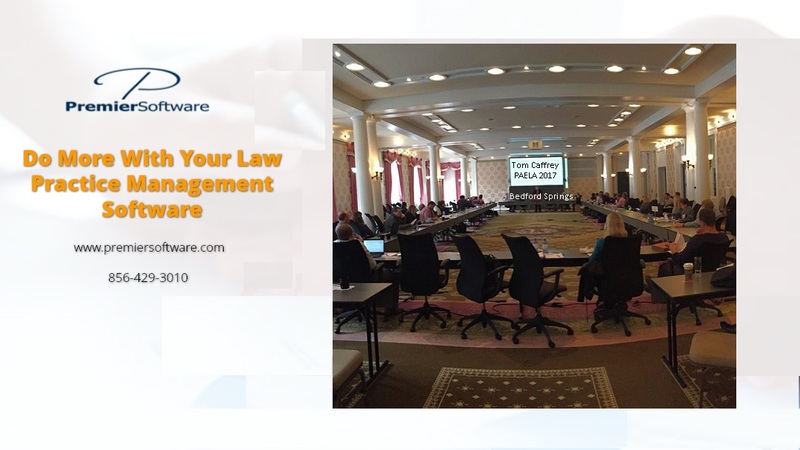 Premier Software excels at implementing legal software and systems that help law firms manage and grow their practice. Our clients are civil litigation, estate or elder care firms including leading members of NAELA and WealthCounsel. Premier’s unique assessment and planning process can quickly chart your pathway to success with law practice management. We would love to answer your questions and share our solutions. We offer over 20 years of experience with Time Matters and support cloud based systems such as ActionStep, Centerbase or ZolaSuite. To complement these multi-function programs we also work with highly focused ‘digital options’ Using one of these apps PITCH,, we have embeded a ‘smart video’ below to highlight “Six Apps to Power Up Your Practice” . They include apptoto, Birdeye, Touchcast PITCH, Gravity Forms, Pathagoras and Adobe Experience Manager Forms. Some even integrate with your practice management software such as Time Matters. Time Matters is a registered trademark of LexisNexis, a division of Reed Elsevier Inc.